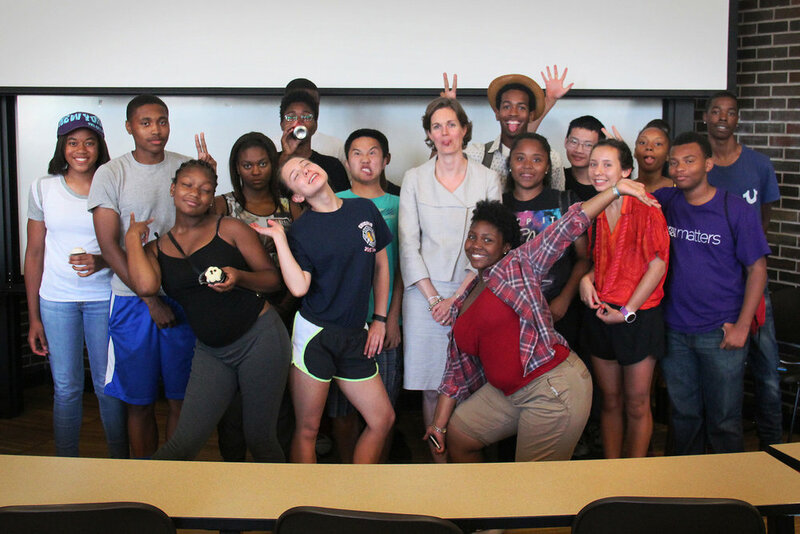 SISE was so pleased to work with the YMCA of Metro Chicago this past summer. 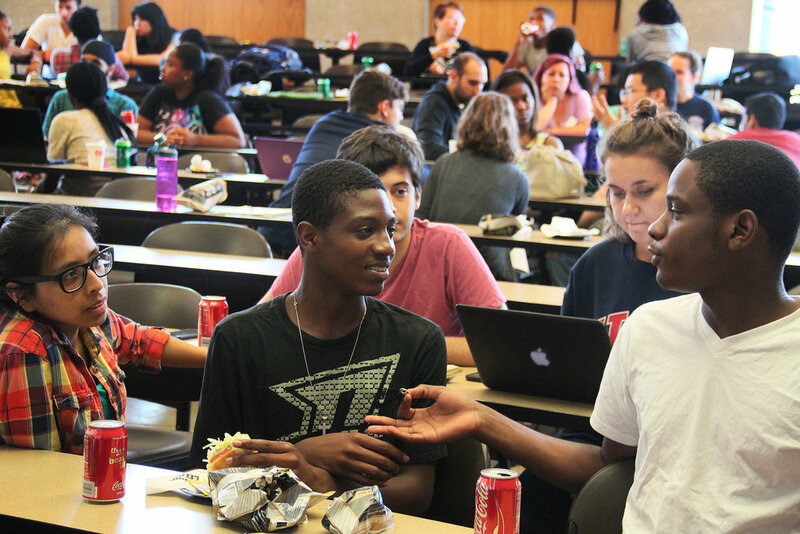 Teens from around Chicago formed the new Green Creation Crew, and joined SISE grad students to work on feasible solutions to energy and sustainability issues in their neighborhoods. After several hours of strategizing, the teens presented their ideas to guest judge Gitane De Silva, Alberta Canada's Senior Representative to the United States of America. (The winning team received cupcakes.) The YMCA Green Creation Crew also joined SISE at its annual alumni BBQ, to tour Argonne National Laboratory, and at its concluding convocation at Navy Pier. The Green Creation Crew was featured in Sustainable Chicago e-zine. Text excerpts and pictures from the article, and a link to the full e-zine, are below. And in case you're wondering, SISE and the Green Creation Crew are looking forward to another summer together in 2017! There are about a dozen teenagers in the room chattering excitedly, with more filtering in. Their voices echo off the walls since the space is still sparsely decorated; there are some plantings by the window, crafts along a ledge, and large sheets of paper up on the walls with the group’s goals. Be safe. Be social. Step out of your comfort zone. Take initiative. This is the Green Creation Crew, a program funded in partnership by the YMCA of Metro Chicago and After School Matters. For six weeks this summer, teens from all around the city took part in this STEM program with a focus on energy and sustainability. They worked in teams to develop and execute environmental efficiency plans—pitching sustainable improvements to “clients,” actually making those improvements and then assessing their work afterward. The youths also partnered up with grad students at the Summer Institute on Sustainability and Energy (SISE). SISE is an intensive workshop hosted by the University of Illinois-Chicago. For the past six years, students have come from all over the country to cooperate in a tight-knit, diverse and energy-minded program conducted by career professionals. Among other collaborations, the Green Creation Crew and SISE cooperated on a mock community improvement session. 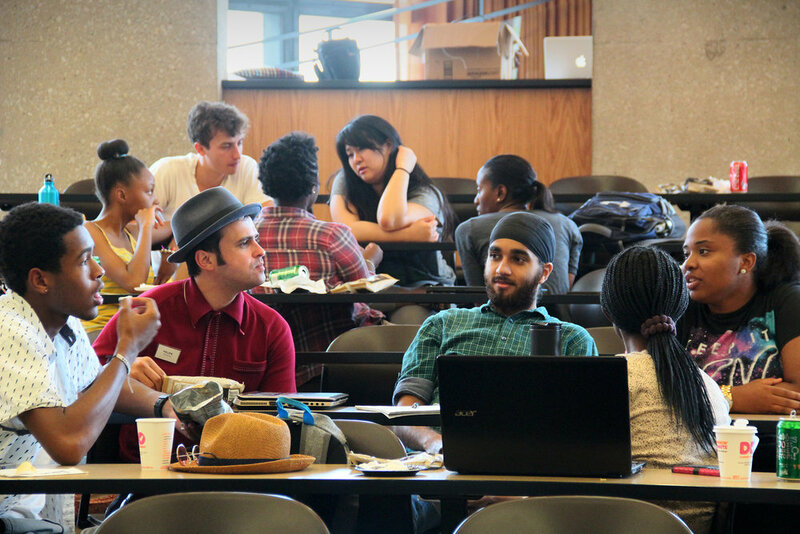 They broke into smaller groups, with teens partnering up with the grad students. Though they were only conducting thought experiments on ways to improve the environment, the session drew from real-world experiences.